Here are a couple of excellent early 1960s fashion and style photos taken by famed photographer Mark Shaw. 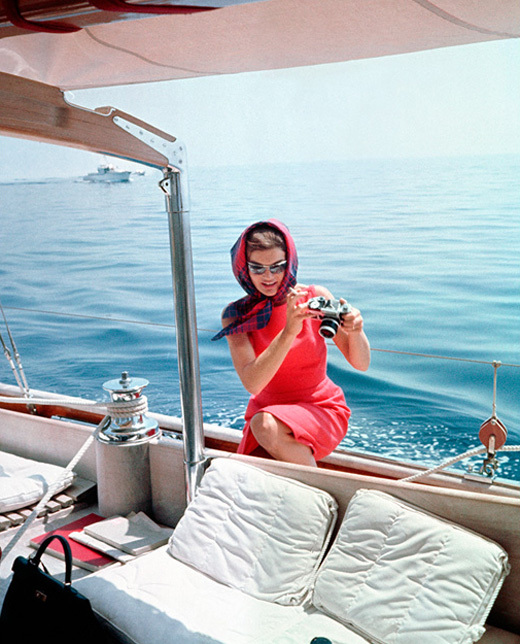 If you recognize the woman on the boat, it’s no other than Jacqueline Kennedy her self. Mark Shaw is best known for his photographs of Jacqueline and John F. Kennedy, which he shot originally for LIFE magazine. He also developed a strong friendship with JFK and Jackie and regularly visited the White House during the 1960s. Shaw is also famous for his numerous photos of Audrey Hepburn, some of them dating back to 1953 were lost until 2006 when they were discovered again long after his death in 1969, aged only 47 years old. The Mark Shaw collection is nowadays maintained by Shaw’s son and wife.